You may think that web designers create user experiences based solely on intuition and imagination. But believe it or not, today’s designers adhere to Gestalt theory, which are principles uncovered by German psychologists in the early 20th century. Gestalt means unified whole in English and is generally associated with the idea that the whole is greater than the sum of its parts. 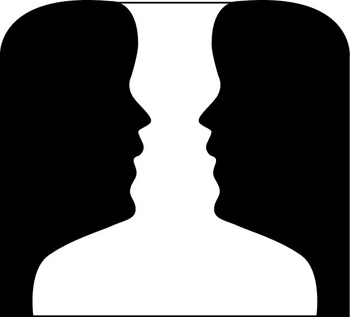 Gestalt theory is made up of several principles —including the concepts of proximity, similarity, closure, continuation, and figure/ground — that describe how the human brain sees visual information. Designers who understand this theory can develop visuals that communicate information in the most effective ways. We discuss each of these principles in turn. 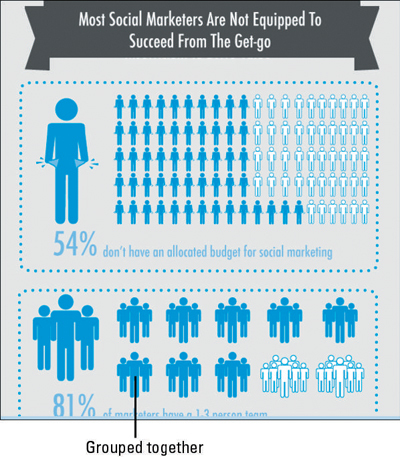 Gestalt theory guides good designers when they create data visualizations (data viz). You should also use the theory when you design your own data viz. You’ll probably be surprised to find that you intuitively know the principles of Gestalt theory, which makes them even more powerful. Proximity: When items are placed in close proximity, people assume that they’re in the same group because they’re close to one another and apart from other groups. The following figure shows a visualization that includes grouped items. Similarity: When items look the same, people perceive them to be of the same type. We naturally assume that shapes that look the same are related. When you create a data viz and you keep items together that look the same, you make it easy for someone to understand that those items represent a group. Closure: Our eyes tend to add any missing pieces of a familiar shape. 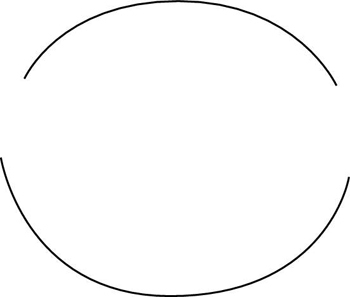 If two sections are taken out of a circle, as shown in the following figure, people still perceive the whole circle. Even with pieces missing, you can still tell that this image is a circle. 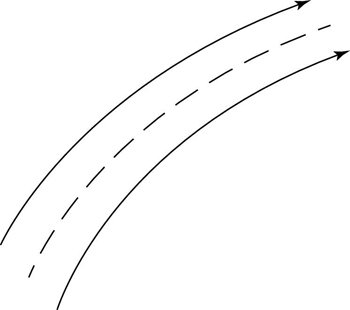 Continuation: If people perceive objects as moving in a certain direction, they see them as continuing to move that way. The figure below shows an example. Items stay in the same path of movement. Figure/ground: Depending on how people look at a picture, they see either the figure (foreground) or the ground (background) as standing out, as shown in the following figure. Both the figure and the ground form shapes.